I'm trying out a set of treasure generating tables developed by someone else, partially because I'm lazy, partially because I do my best when I have an idea kernel to build off of. I also added two pieces of jewelry (a jade armband with a star rose quartz stone set in it and a gold belly ring with 5 red stones set in it), as that was part of my treasure description during the game. This part could have used some additional guidance, but I eventually figured out which tables to roll on. Compared to the D&D equivalents, the gems and jewelry is pretty much small change with values below 50g the most common, but the variety of settings and stones is really cool, so I may just jack with the values to fix this. The random coin values tend to develop the fantasy equivalent of pocket change as the designer assumed the GM would assign actual coinage commensurate with the monster. As we are using the Hero System, this means I essentially have to make it up or use another system's treasure awards as a basis (and by another system, I mean a version of D&D, like Pathfinder). The herbs came off a commodity listing, which I like, but the amounts here too are low. This is becoming a running theme, so if I keep using these, I'll need to make some adjustments to values or (more likely) quantities. I don't want the treasure hauls to be "stuff you found in the back of a couch" plus "Incredibly Expensive Magic Items". Plus I need to see about automating the rolling so I can get a loot bundle of whatever size I want quickly. That may take some work as my laptop is locking up due to either a DLL mis-match from a failed update or a pain-in-the-arse virus from somewhere. NOT happy about that as I've only had the laptop a year and a half or less. The upshot: I'm going to keep experimenting with these tables and then probably start re-writing parts of them. On the ship back over from New Zwicke, Quetzal observed a mammal named Felix, who was travelling to Lucan’s Clock somewhat suddenly and with newly dyed hair. She was not entirely surprised when he showed up at the Savage Arms Resthouse (a tavern the adventurers tended to gravitate to when in town), looking for “the adventurers”. After some chatting to feel the guy out, the Lucan’s Clock group accepted him and told him to report to the Wizard’s Ledge (Jacien’s home) in the morning. In the morning Felix found the other adventurers of Lucan’s Clock securing their gear and themselves to a contraption that looked like nothing more than a giant mechanical spider. He climbed aboard and stashed his gear and strapped in to the seat he was given. Jacien handed out one amulet to each person, telling them to keep it on their person at all times. When asked what it did, he said “it protects you from my spells.” This was not the most comforting thing Felix had ever heard. Then Jacien fired up the walker and it lurched to attention – Felix quickly tightened the belt on his seat further. Jacien then started working the controls and the spider walker climbed up the vertical face of the cliff the town was built on to the top of the cliff. Once at the top, Jacien opened up the very noisy motor and started driving the spider walker across the rough terrain at galloping horse speeds. Felix held on tightly. A couple hours out from town, heading west towards the Valley of the Landsharks, the group stumbled across a clearing with dead bodies in it. They stopped and investigated. The dead bodies were pirates from town and Quetzal was able to determine they had fought (and lost to) trolls. The bodies were heavily damaged, but Marcus was able to determine that they died a couple or three days earlier, ripped apart by trolls. Marcus insisted the bodies be given last rites and burned. While they let Marcus do that, Zoglug, Frongol, and Felix split up and spread out to search the area. Noticing that Zoglug was carrying around a locked chest he did not have earlier, Felix offered to remove the lock. Zoglug set the chest down and let Felix work. Felix checked the lock for any traps and found none so he started picking the lock. The good news was the lock was easy to pick, the bad news was Felix missed the poison needle trap on it and was jabbed by it. He felt the coral poison* course through his veins, locking up his muscles as it went. Luckily his health was more robust than the poison’s effects and he was merely paralyzed. Marcus investigated the poisoning and quickly determined what herbs would counteract the paralysis. He described them to Quetzal, who recognized them and quickly found some in the area. With the herbs, Marcus was able to counteract the paralysis. Felix was muscle-sore for another hour, but able to move. Inside the chest were two bags, each containing 250 silver coins, all minted at the New Zwicke mint over the last 2-3 years. The coins were returned to the chest after counting and everyone piled back onto the spider walker. After some discussion, the group decided to go pay the trolls a little payback. They headed west to the campsite where the trolls attacked the adventurers previously, parking the spider walker there. Using ropes, Jacien, Frongol, and Felix climbed down the cliff face to the entrance to the troll cave. Zoglug stayed at the top of the cliff, holding onto the ropes in case someone needed to be quickly pulled up. Marcus searched the immediate area for large but throwable rocks to drop on any trolls and Quetzal searched the larger area for anything interesting, like a back entrance to the troll cave. It was very late in the day by this time, and the mouth of the troll cave was slowly being covered by the shadows of the valley rim to the west. Jacien was able to inscribe one rune on the cave entrance before a very large stone came zipping out of the cave and clipped him on the shoulder, stunning him. Frogol dragged Jacien over to one side and started calling on Zoglug to pull up Jacien. Zoglug didn’t hear what she said clearly (or so he claimed later) and pulled on all three ropes by running away from the cliff edge, pulling the ropes behind him. Due to his great strength and long stride, all three adventurers were promptly at the top of the cliff edge. Down below, the troll who had thrown the stone investigated the cave mouth and was immediately attacked by the rune Jacien had inscribed. The troll decided to stay inside the cave. The adventurers rode the spider walker an hour east, away from the cliff and the troll cave. They then set up camp (Jacien setting out six attack runes around the site) and set watches for the night. Most of the night passed quietly, but shortly into the third watch, Frongol and Marcus (they were on watch) heard the one of Jaciens runes go off and a troll cry out in surprise. Quetzal quickly awoke the rest of the group, while Marcus cast a light spell where the rune had gone off, illuminating four cave trolls! He then moved to the center of camp and called out for the adventurers to move to him. The trolls moved around the light that was hurting their eyes, which slowed their approach enough for the adventurers to move to Marcus. He then cast a protective charm on all but Quetzal (who wasn’t able to get to him in time). Then the fight started. As opposed to the previous fight, where the trolls quickly got the upper hand, the adventurers completely dominated this combat. They quickly killed two of the trolls, causing one to start fleeing while his (remaining) companion tried to avenge his friends. He failed quickly and was cut down by an enraged Zoglug. 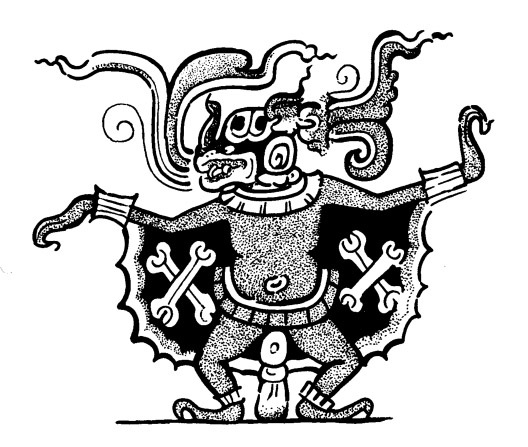 The fleeing troll was pursued by Felix and Quetzal, but managed to escape them by sheer force of terror (and a significantly higher Endurance). Jacien determined that the troll blood was a potent alchemical reagent. He convinced (a now calm) Zoglug to empty the chest. Jacien then used his magic to transform about 20 silver coins into an unbroken silver lining for the chest. Then the adventurers filled the chest with troll blood from the three dead trolls. This was somewhat gruesome work. Felix cut off the heads of the three dead trolls and put them in a different bag, thinking there might be a bounty or reward for them back in Lucan’s Clock. By dawn the group was cleaned up and ready to travel again. They decided to return to the troll cave once again, thinking that all or most of the trolls were now dead or gone and they want to clear it out. The troll cave was relatively small, consisting of a curved passage leading down to a descending gallery. At the back of the gallery was another short passage with a steep decline down to a medium-sized cavern with a deep pool of water covering the back third of the cavern. There were signs of troll habitation in the gallery and the cavern, but no trolls at all. The group looked around more and more closely, now they were certain there were no trolls. Frongol found an alcove over the passage connecting the gallery and the deeper cavern. After being lifted up to it, she found signs that the trolls probably stationed someone up here as a guard for the cavern. There was a large rusty blade stored up there that weighed about as much as she did. She handed it down to Jacien (who could remove the rust and had uses for metals) and searched a bit more. She noticed that part of the back wall on one side was a separate stone about five feet tall and three feet wide. She called Zoglug up to come move the stone. At about the same time, Quetzal noticed another passage entrance down in the water in the back of the cave. She waited until Frongol finished her investigations, not wanting to split the group’s efforts. Zoglug muscled the stone out of the way with his crowbar and brute strength. Behind it was a small cave with three humans cowering in the back of it. After some talking, Zoglug learned the three humans were the last of the patrol the trolls had ambushed and promised a reward if the orc would take them back to Lucan’s Clock. Zoglug agreed after some haggling and brought the three refugees down to the cavern. Marcus fed them and provided what healing they needed. With the troll’s larder found and liberated, the adventurers turned their attention to the passage under the water. Quetzal and Marcus initially investigated the passage with Quetzal pulling Marcus along while he held his breath and maintained his light spell (it only worked as long as it was in his line of sight). The passage was 10 meters in length and came up in an unlit cavern. Carefully surfacing, Quetzal determined there were no threats in the cave and pulled Marcus up to the surface, where he gasped a bit, drawing in much needed air. Quetzal though disparaging thoughts about the small lung capacity of mamals, but kept the thoughts to herself. The new cave was where the trolls kept the things they took from their victims. Some of it was shiny trash, but some was coin and some was items of interest. One such item was a black stone egg identical to the one the adventurers had found previously. Felix was confused by the reactions to the black egg and was told it was the focus item for a clairsentience spell. Not terribly enlightened (he’s not a spellcaster of any sort), Felix just nodded his head and made note that the others felt the egg was dangerous. He was then surprised when they pulled out a blob of lead Jacien claimed contained a second egg. The group decided to leave both eggs here as a relatively safe place to store them. They all agreed to not tell the refugees about the eggs or what exactly they were retrieving from the cave, keeping it all in large sacks. The adventurers then returned to the surface with the refugees. Jacien then set up a portal back to his workshop. He sent the refugees, Felix, and Zoglug through, telling them to wait in front of his workshop until the rest arrived in the spider walker. Once they went through the gate, Jacien shut it down and disassembled it. He and the remaining adventurers (and the loot) returned to Lucan’s Clock aboard the spider walker by taking a shortcut walking it across the waters of the bay. In town, the group took the refugees to town hall to claim the reward promised. The refugees were part of a patrol made up of crew from the Foul Wolf of the West, the ship who’s captain was currently mayor of Lucan’s Clock. As part of the process of claiming the reward, the adventurers had to explain where they found the patrol. When told about the troll cave and killing the trolls, the bureaucrats said “Prove it.” Felix promptly pulled out the three troll heads and set them on the desk, asking if there was a reward for killing the trolls. The bureaucrat said he would check. He came back shortly with a big bounty of 300 gold coins for killing an obvious threat to the town, enriching the group pleasantly. So life has been six kinds of dog-piling on me for the last two weeks. Long story short, I was not able to get a real posting ready in time for this week and I won't be able to for the rest of the week due to in-laws in town again (and I like seeing them when they are in town), I'm running a game Saturday and I'm not 100% ready for it yet, and I need to reload Windows 7 on my primary laptop to fix whatever is causing it to lock up at random times. Plus, Date Night with my wife and I got two free tickets to a concert during my normal "game prep time" (these are two events, not one). Oh, and did I mention one of my water pipes sprund a leak this evening, when I was going to go writing? It's fixed now, but I'm not really in the mindset I was planning and lost most of my writing time. NEXT week I promise two postings. One will be the adventure log for the Saturday Group in my Blood, Gold, and Lizards campaign. I don't know exactly what the other one will be yet. Depending on how far they get, I may post the adventure location as a PDF. Or part of it, depending upon how far they get. We'll see. Dyson Logos of the blog Dyson's Dodecahedron is running a contest for an original of a map he's drawn. The contest page is here. I'd like to get an original of his as his maps have helped me greatly. Dyson's maps are well drawn with clean lines and his distinctive hatching around the edges for the dungeons he draws. He has tons of creativity that he freely shares, so go take a look. Place an order for Dyson's Delves. Dig deep in his archives and share the love for his site - it is totally worth the time and effort. The group started with some housekeeping. Hugo officially joined F&A Holdings. This tied down Fritz and Albrecht with getting the necessary paperwork through the New Zwicke bureaucracy [the players were unavailable]. Felix, Hugo, and Alset deposited their earnings from the previous expedition into the New Zwicke Bank for safe keeping. The group then used money from F&A Holdings to purchase healing potions at the Temple of Shallya, hire a trio of guards for camp security, and then food and extra horses for the entire group. Originally the guards were simply going to be paid a flat salary for camp guarding. However, after some discussion the guards were offered a full share as a group if they also fought alongside the adventurers. Penrith negotiated a clause for payment of the flat rate if no treasure was recovered, but otherwise accepted the offer on behalf of his men. The group headed north on the Estini Road, planning to return to the tower in the Wedge Wood and explore further from there. This plan fell by the wayside just outside of the farmlands surrounding New Zwicke when a pack of bandits attempted to rob the adventurers. During the ensuing fight, Hugo was shot off his horse by arrows [for being scary and dangerous with his Murder of Crows spell], Alset’s spells fizzled early on, but the hirelings proved their worth, keeping the bulk of the bandits away from the spellcasters and cutting many of them down. The fight ended with the bandit archers fleeing once the sword-weilding bandits were all dead or unconscious. While the elves stripped the dead bandits of their gear, Felix interrogated the four bandits that were captured alive, killing one of them to make his point to the others. The remaining three bandits were very eager after that to share everything they knew, including that there was a raft hidden upstream where the archers were likely to run to and that the bandits had a camp in a small forest across the Arrow River from the ambush site. After Felix collected the heads of the dead bandits, the adventurers made their way to the location of the bandit raft [bringing along the manacles captives], discovering the archers just pushing off from the shore! This battle was more of a slaughter as the bandit archers had no cover. One of the dead archers was recovered, as were all four long bows, but the other three bodies sunk (weighted down by their armor) and were washed away by the river current. Alset used a series of teleports to move everyone across the river, except the draft horses the hirelings were riding. As the draft horses each massed more than Alset could teleport, Hugo had to swim them across. This took a couple tries as the horses were nervous, but eventually everyone and their mounts were on the western side of the river. When Hugo had not returned from scouting after an hour, Felix led the rest of the group straight up to the front of the bandit camp. As the bandits drew their bows, Hugo cast Cloud of Moths, obscuring the sight of the bandits (and himself) with mass numbers of glowing blue moths. This allowed Felix and the hirelings to charge the gate and get in without getting shot. It was all over for the bandits at the front gate after that. The rear gate bandits heard the fighting and their friends dying and fled out the back with their lives and little else. The adventurers spent the next hour thoroughly looting the bandit camp. The take was mostly foodstuffs and the meager loot gathered by the bandits so far this season. Felix beheaded the dead bandits and freed the three captives, telling them to run and never come to his attention again. They ran. With loot to sell back in town (and the majority of that being perishable foodstuffs), the group returned to New Zwicke. They turned over the bandit heads to the Guard, receiving a small bounty (5s) per head after filling out a report. [This was due to Hugo being a member of a registered adventuring company. Otherwise the adventurers would have been treated as vigilantes and forced to pay a fine.] After selling off the loot, shares were paid out: one to each adventurer, one to the group of hirelings, and one to F&A Holdings. Penrith and his men were very pleased with the payment and stated they would be happy to work with the adventurers again.